Whether you are looking to buy a used car for personal use, or are looking for some ignored and forgotten gems to flip in your workshop, online live auctions sites such as AutoBidMaster.com offer an ideal way out. Although many people still have their apprehensions when it comes to making any high value transactions in the virtual environment, there is more to online auto auction websites than what most people know. To clear the smokescreen, we give you not one but four reasons why it makes sense to buy cars from online live auction sites. 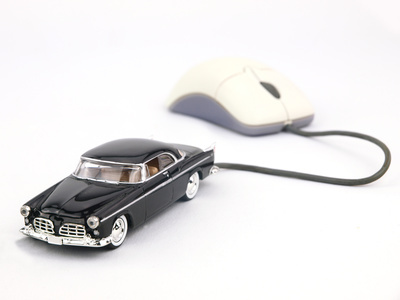 The key benefit of buying cars from online auto auction sites is the convenience they offer. Unlike traditional auctions that are known for their high-paced and rather draining environments, online auction sites provide an easy way to get your hands on your favorite vehicles without breaking a sweat. Information security is one of the biggest concerns people have when making any online purchase. All leading online auto auction websites, including AutoBidMaster.com, understand the concern and use secured payment gateways to process all transactions, thereby protecting user data from potential risks. Gone are the days when you had to wait for months and years to find the vehicle you wish to buy, available at a price that is within your budget. Online auto auction websites such as AutoBidMaster.com offer an extensive selection of used and salvage cars, all available at exceptionally affordable prices. Online live auction sites such as AutoBidMaster.com understands the significance of forging long-lasting customer relationships. That is the reason in addition to offering a simple registration and bidding process, many of the websites also offer exclusive membership benefits to their patrons. A common reason people shy away from online auto auction sites is that they believe they would not be able to inspect the vehicle before buying. The notion is simply untrue. All leading auction houses, such as Copart auto auction, have the provision of physical inspection to help buyers make informed buying decisions. In the light of the factors we have discussed, it would be safe to say that online live auctions sites provide a seamless way for buyers to get their hands on their dream vehicles. If you too have been looking to buy a used car but haven’t been able to find the time to look for local auction, the search ends here. Ranked among the most trusted online live auctions websites offering used and salvage vehicles, AutoBidMaster.com has an extensive listing of vehicles, all available at affordable prices. To learn more about our policies or any of the vehicles listed with us, fill out our contact form or simply call +1 (503) 298-4300.